The Ford F-150 is one of the best selling trucks on the market with its powerful engine and striking capabilities. In order to customize your F-150, you’ll have options. In fact, the Ford F-150 is available in seven different trims styles, each with unique benefits and features. 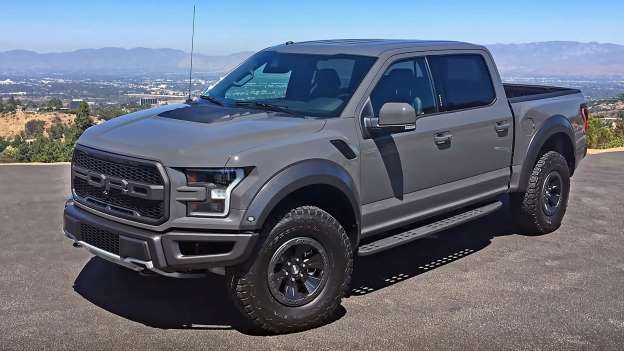 To help you compare the new Ford F-150, Stallons Auto has put together a handy guide to help you shop for your new pickup truck. You’ll notice as you move up in trims, you’ll gain different features on the inside and outside of the Ford F-150. Take a look at the various Ford truck trim levels, then visit Stallons Auto in Hopkinsville, KY for a test drive! Before we compare the different Ford F-150 trim levels, it’s important to understand the different cab styles. The Ford F-150 is available in Regular Cab, SuperCab, and Super Crew. You can also choose from three different bed lengths: 5.5-foot bed, 6.5-foot bed, and 8-foot bed. The Ford F-150 XL and XLT models are two of the base trims. 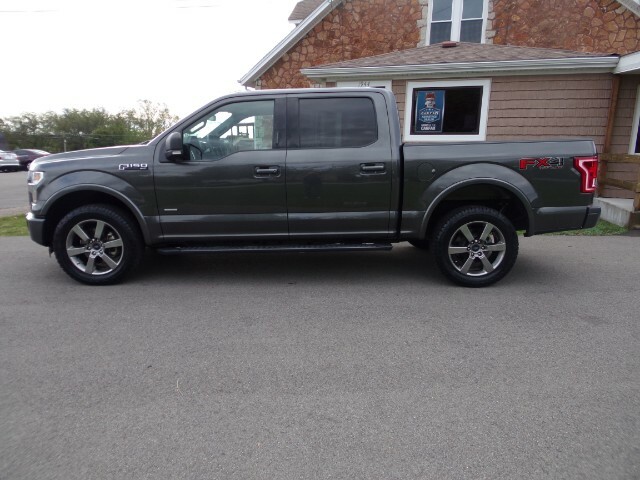 The Ford F-150 XL and XLT come with four efficient engine options including a 3.3L TI-VCT V6 engine, 2.7L EcoBoost V6 engine, 5.0L Ti-VCT V8 engine, and 3.5L V6 EcoBoost engine. Although the XL and XLT models are base trims, they come with an impressive amount of technology and comfort features. With the XL you’ll get a driver information display, easy to clean vinyl flooring, trailer sway control, 17-inch wheels, Bluetooth connectivity and more. Upgrade to the XLT and you’ll gain power locks, windows, USB connectivity, remote keyless entry, Ford MyKey, and smartphone app integration. If you are looking for a powerful work truck to tackle any job site, you can’t go wrong with the XL or XLT. Step up to the Ford F-150 Lariat and you’ll enjoy the standard 2.7L EcoBoost V6 engine which puts out 375 horsepower and a whopping 470 pound-feet of torque. 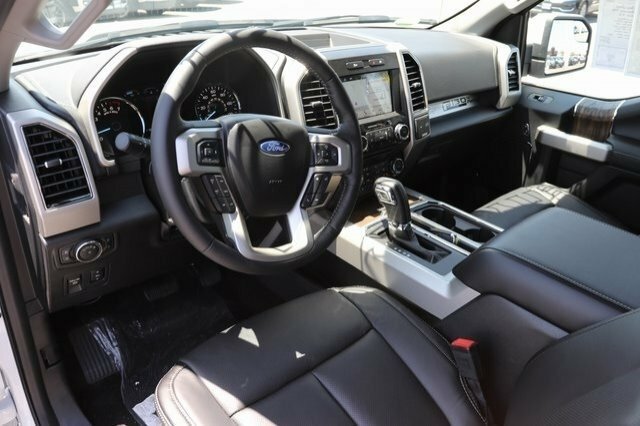 With the Ford F-150 Lariat, you’ll enjoy new features like leather upholstery, power-adjustable heated and ventilated front seats, satellite radio, and the SYNC 3 infotainment system. The Ford Raptor features the most powerful engine in the F-150 lineup: a whopping 450 horsepower turbocharged V6. In addition to its powerful engines, you’ll find a number of performance and off-road-related standard features like four-wheel drive, an off-road racing suspension and a locking rear differential. The Ford F-150 King Ranch offers premium features and a touch of luxury. Inside, you’ll find a Bang & Olufsen audio system, a voice-activated touch-screen navigation system, heated rear seats, and a heated steering wheel. The King Ranch trim also comes standard with the powerful V8 engine. The Ford F-150 platinum trim builds on the King Ranch trim and adds premium interior accents, including standard wood-trim accents, a Wi-Fi hotspot, power-deployable running boards, blind spot monitoring, and rear cross traffic alert. 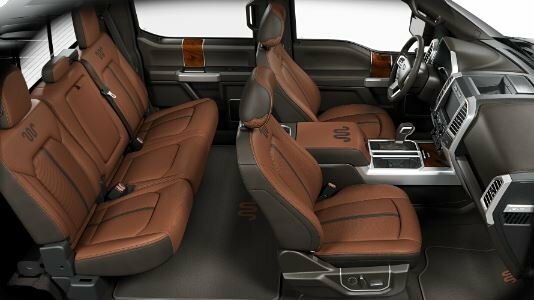 Want the most luxurious Ford F-150? Upgrade to the Ford F-150 Limited, the most upscale trim on the F-150 lineup. It comes standard with the larger EcoBoost V6 engine, a twin-panel moonroof, a 360-degree camera, pre-collision assist with pedestrian detection. 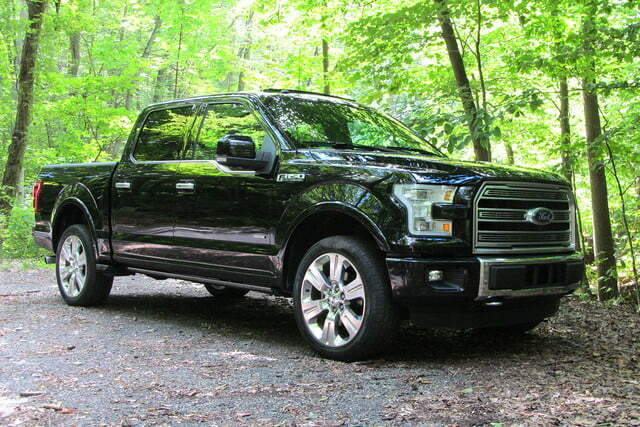 If you want all the bells and whistles in the Ford F-150, you’ll want the F-150 Limited! Ready to find the powerful pickup truck that meets your needs? 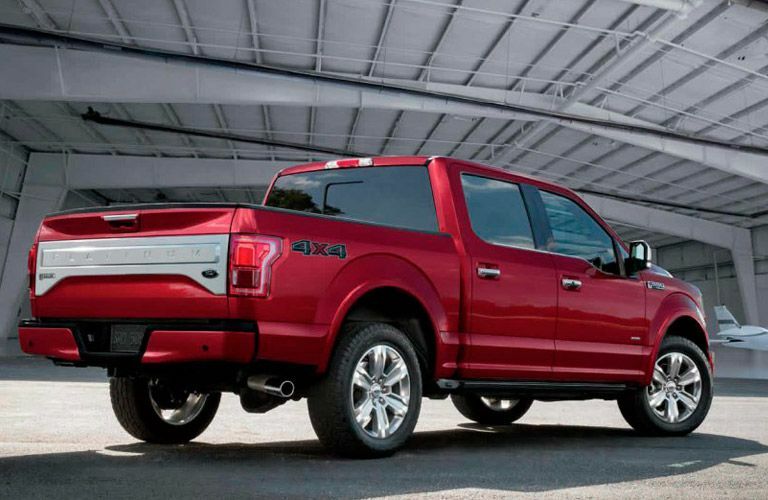 Get to Stallons Auto in Hopkinsville, KY and shop our extensive inventory of new and used Ford F-150s! Our dealership is located conveniently near Cadiz, Fort Campbell, and Princeton, KY. Apply for credit online and contact us to schedule a test drive!